Eurospa Eucalyptus Oil Uses: Be Sinus Pressure Free for Thanksgiving with This Powerful Natural Remedy! Be Sinus Pressure Free for Thanksgiving with This Powerful Natural Remedy! It never fails. A fun and festive holiday is approaching and you are blessed with the gift of a sinus cold. Who wants to be in the family photo with a red nose and watery eyes? Nobody does and that’s why we at Eurospa want to share the powerful natural ways you can be sinus pressure free for this year’s Thanksgiving feast! The first step is always preventative. 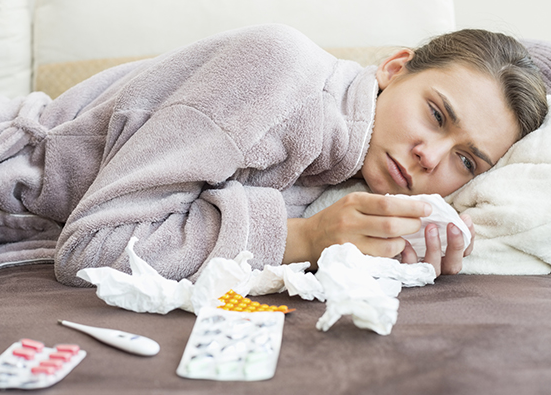 If you know you are prone to winter colds, make sure your immune system is strong enough to ward them off. Some simple ways to do this are to dress warm; keep your neck, back and feet well covered. Get enough sleep. Drink hot herbal teas and warm lemon juice with honey. Eat garlic and limit the sugar and white pastas and breads you consume. This will get you on a good path. This is an easy and relaxing option for relieving sinus pressure and sinus colds and there are two ways to do it. First, start a hot shower or bath and breathe in the steam. The steam will break up the mucous and relax the uptight muscles involved. Once you’re in the shower, add 2 or 3 sprays of Eucalyptus Oil Shower Spray to the steam. Your second option is over a bowl of hot water. You simply pour boiling water into a bowl. Grab a towel, your bowl, Eucalyptus Oil Shower Spray and sit comfortably at the table. Place the bowl in front of you. Add 1 or 2 sprays of the Eucalyptus spray to the bowl. The water should still be steaming. Then place the towel over your head and let it cover the bowl as well. You should be in a steam cave now. Gently inhale the eucalyptus steam into your lungs through your nose and feel the congestion break. Eucalyptus not only breaks up the congestion, but it’s also and anti-inflammatory, anti-bacterial and anti-viral. This means it’s going to calm down your inflamed sinuses while killing the bacteria and viruses that started the whole mess! You don't have to be miserable any more.